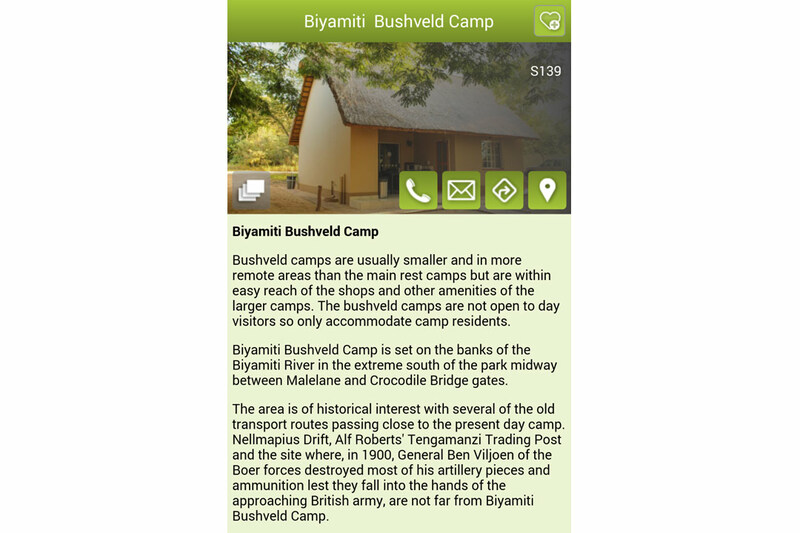 Planning your trip to the Kruger has never been easier – whether you are a seasoned visitor or new to the great experience. 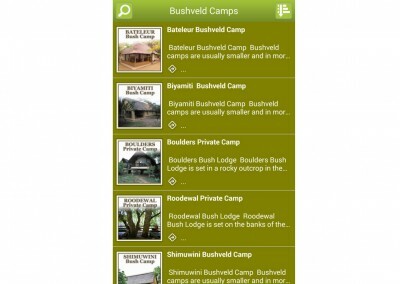 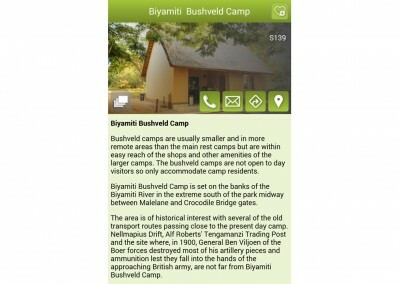 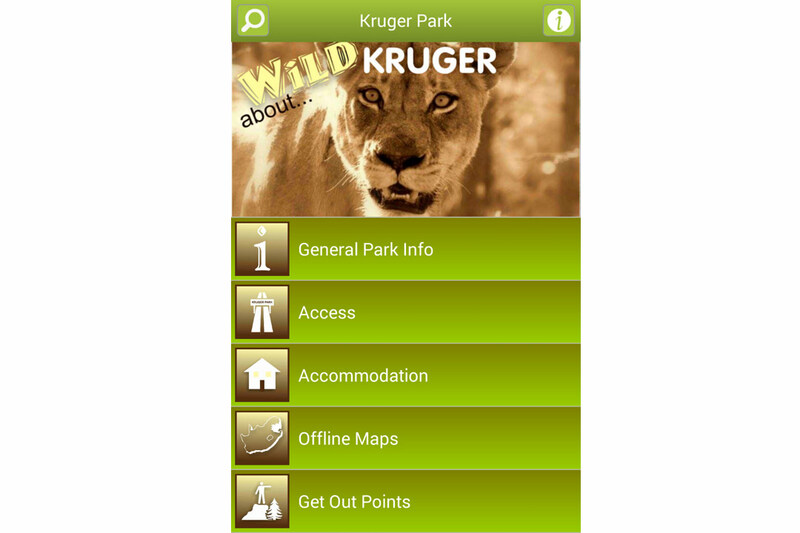 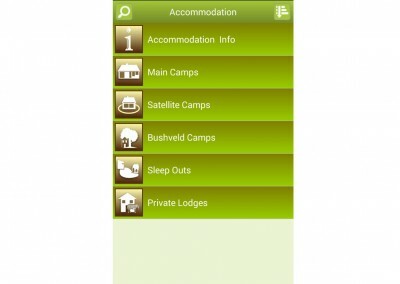 The Wild about Kruger App gives you all the information you could need to plan your trip including info on camps, get out points, picnic sites, services and facilities in the park, what to do in an emergency and much more. 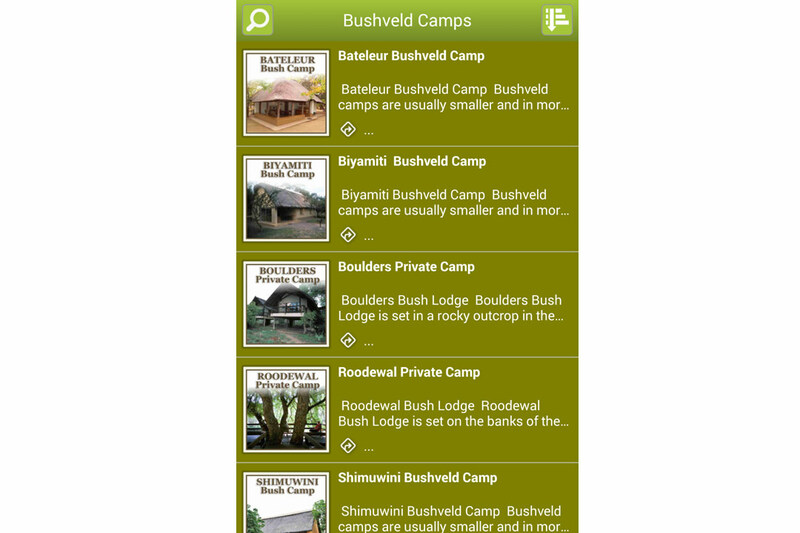 There are a range of comprehensive off-line maps to assist your travels; and stunning colour photographs and calls on the various mammals, birds, reptiles, frogs and insects are included in the wildlife section together with interesting information on behaviour to look out for. 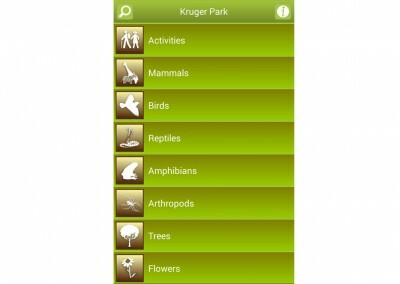 Easy-to-identify trees and flowers are also part of this app as well as many of the historical sites in the park. 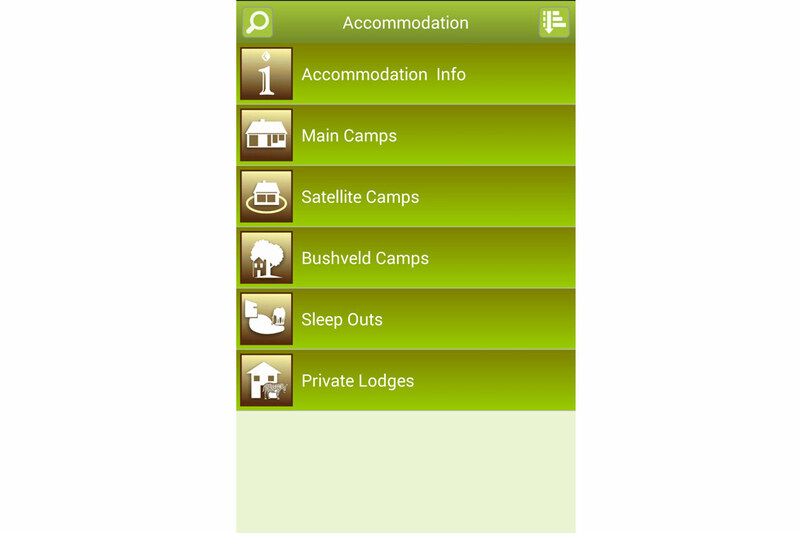 “Tracking from your Vehicle” is a unique addition that gives you hints and tips on how to read signs in the bush that will enhance your safari experience and provide a greater chance of spotting animals. 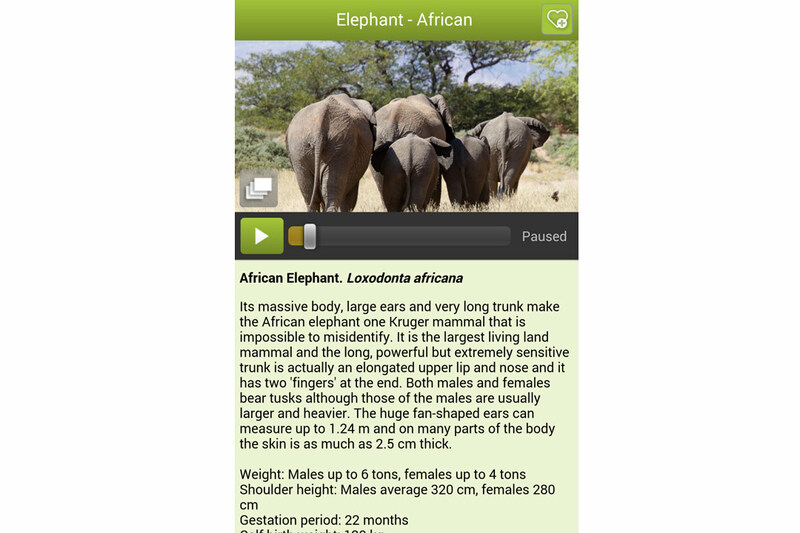 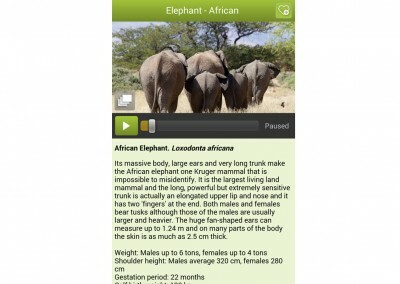 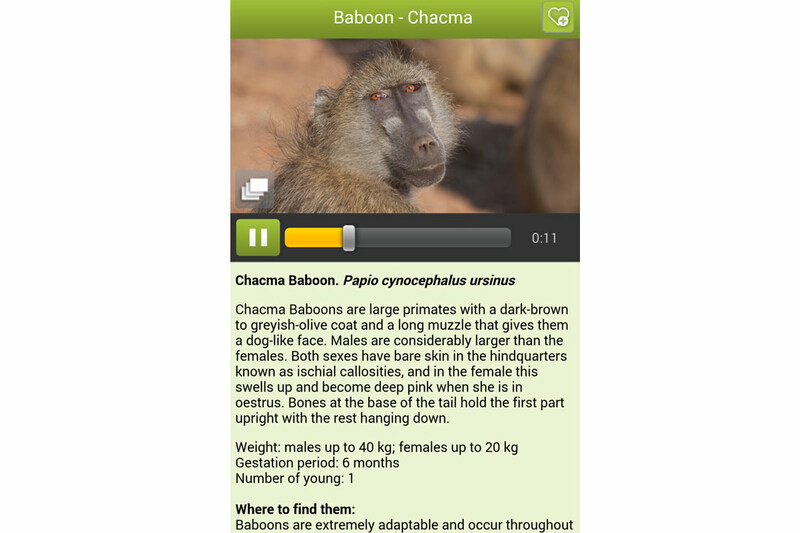 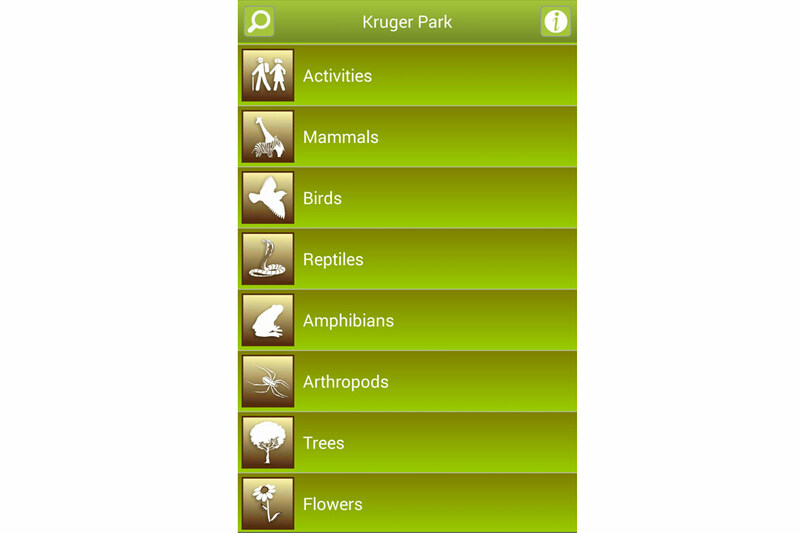 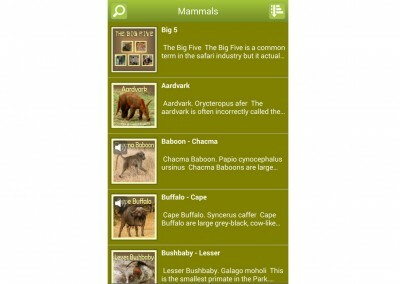 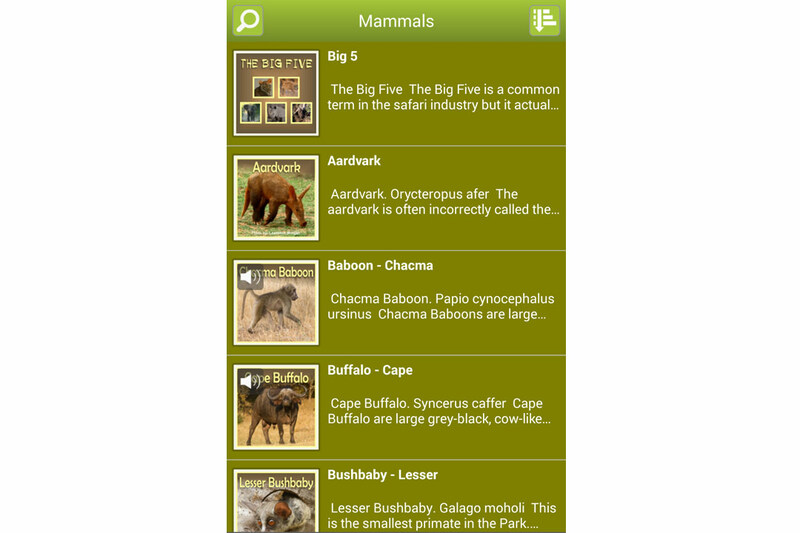 This is an app you cannot do with out if visiting the Kruger. 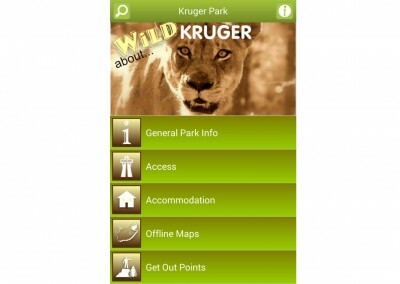 This app is a joint partnership between Derek & Sarah Solomon, Lee Gutteridge and Wild about Info apps.